They offer a huge selection of medium and heavy duty recycled truck parts including: diesel engines, transmissions, axles, cabs, hoods, tires, rims and so much more. In addition, they carry a large selection of pre-owned trucks and used parts from all the major manufactures such as Mack, International, Peterbilt, Freightliner, Isuzu, Mitsubishi, Kenworth and More!! 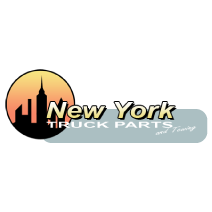 New York Truck Parts, Inc.
SEARCH - New York Truck Parts, Inc.